In the previous article, I tackled the myth that the threat of a retail ban by GameStop or other retailers would prevent the rise of digital distribution. This article, I'll be tackling the simple question: How GameStop Can Stay Relevant Alongside Digital Distribution. Note that for this second article, I'm specifically targeting GameStop, since they've got the most to lose from digital distribution while also being one of the bigger retailers out there right now. Walmart, Best Buy, and Amazon will easily survive a massive drop in retail copies of games being produced by simple virtue of their product diversity. It's no secret that publishers would love to be dealing with their customers digitally, instead of having to produce physical copies. This is a fight that has already been won by PC gamers, with multiple services like Steam, Direct2Drive, and Good Old Games providing their patrons with pretty much any release they'd care to purchase, new or old, Triple-A title or indie-developed. Much like with graphical developments and raw power, PC gaming is providing a window of things to come for consoles. However, the answer to the question of how retailers can stay relevant is really simple: They don't really have to do a thing, for the moment. If they do that, not that I'm saying they will, they'll see a small slump in their sales but will still have a decent portion of marketshare. The truth is, the console market has some fundamental differences from the PC market, and that's going to work in GameStop's favour. For one, let's throw out the tech-savvy, internet-using gamer, someone much like yourself, who you picture as being the ones to adopt digital distribution. That is not an average depiction of the typical console user. In a study done last year, 78% of PS3 users, 73% of Xbox 360 users, and 54% of Wii users are connected online... 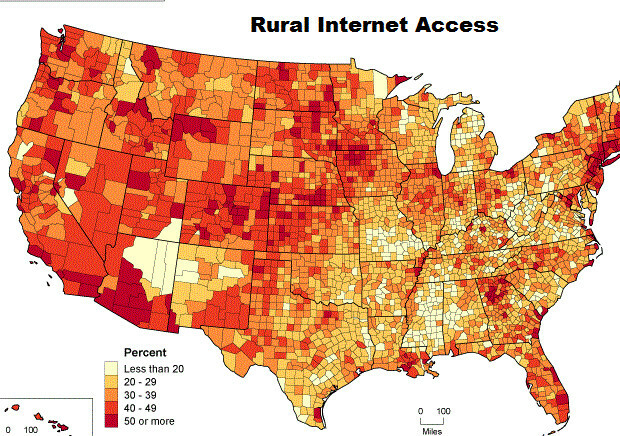 Among Adults in the USA with access to broadband-speed internet. That last bit is very important, since according to some numbers, the same people might represent anywhere from just one-third to two-thirds of North America. Even if publishers wanted to go exclusively digital download, they'd have to pretty much cut their potential audience down to half or more, since broadband just isn't available in a lot of places and even where it is, not everybody uses it for their gaming. That's even assuming that the gamers who have broadband and use it want to move to a purely digital distribution model in the first place. Setting aside the current generation's storage problem, something I expect to be dealt with decisively next generation, there are people who simply don't want to buy their products as a download. They want to buy a physical copy, with a case and instructions, which they can display on their shelf. They want to buy things like the Modern Warfare 3: Hardened Edition or the Halo: Reach Legendary Edition, with all the bells and whistles thrown in. They want a copy of the game they can take over to a buddy's place to loan to them or play together, or sell back to a retailer like GameStop to help fund their next purchase. Or they're simply the so-called casual gamers picking up a casual title, or they're family buying someone a present for Christmas or a birthday, or any of a dozen other scenarios. However, it should be obvious that broadband speed or better connections, available to everyone, are on the way. Sooner or later, perhaps in another decade or two, both the percentage of consoles online and the percentage of people with access to fast internet are going to increase to the point where digital distribution has a strong shot at becoming a significant threat to retail distribution, and unfortunately there's not a whole lot that GameStop can do to stop it. 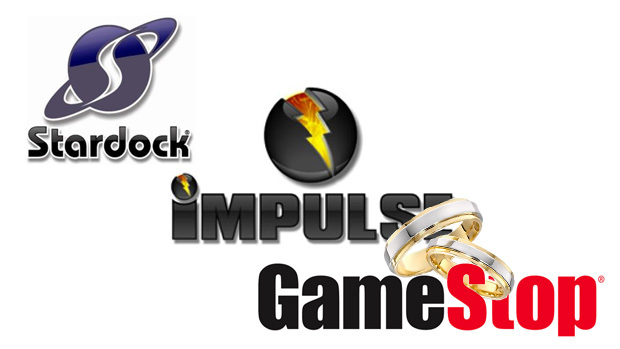 Impulse is a start, but currently only serves as one of a dozen content providers for PC gaming, many of whom are eyeing the marketshare Steam has and wondering how they can get a piece of the pie. Should Origin prove to be a massive success, no doubt other publishers will be looking to follow suit. Impulse alone won't do much to keep the core of the company afloat even after they make some massive cuts to the amount of locations they have, let alone be the thing which keeps them relevant. If GameStop wants to have a chance of surviving the next twenty years, they need to take a hard look at how they can either break in to, or supplement the digital market on consoles. Right now the PC pool is already happily full of dozens of competing services, and Impulse has a lot of work to do if they want to catch up. Unfortunately, there's not too much which can be done on that front right now. Nintendo, Sony, and Microsoft have already got their own content delivery systems in place, and it'd take a lot more than GameStop is willing to offer for them to break into that piece of the pie. The only way they can possibly break into that market at this point is by developing a content delivery system which offers more features than Microsoft, Sony, and Nintendo provide and does so in a way that profits the publishers and console manufacturers at least as much as the current set up, while also being worth GameStop's time. If they pull all that off I'll be impressed, but I doubt it'll happen. Rather, if GameStop wants to survive at anywhere near the size of a company it is right now, they're going to have to embrace the retail side of publishing and start to reach out to publishers to take care of actually manufacturing the publisher's products. There is always going to be a section of the market which wants physical copies of their games, and absolutely won't purchase their games digitally unless that's the only way to get them. Likewise, there's always going to be a market for collector's editions of games and inevitably there'll be people who want to pay for their products in cash. That will have to be GameStop's angle if they want to survive as a game store. A good step might be to acquire a third party peripheral company or two, like Mad Catz or PDP. Little things like not being the middleman for some items might be a good way of keeping the profit margins healthy and it's not like, at the moment, GameStop doesn't have the cash to manage it. That won't be enough, however. If they want to keep their stores open and keep their marketshare, they're going to have to also grow Impulse from simply a content-delivery service into a game streaming service like OnLive, marketing their own units to customers and providing them with the means to play them. They have the infrastructure in place to get the titles to their customers, and a little work and a few deals made on the side could even provide unique opportunities like emulation of older console titles. Of course, Gamestop could always go the route where they diversify their inventory. I hear they'll be taking iOS devices in trade soon, so maybe in twenty years they'll be a phone store/console store/knitting center. Whatever they do, GameStop as they currently stand are getting a step closer to going out of business with every step the console games industry takes towards digital distribution. They are so large that dialing back their numbers won't be enough. They have to adapt or die. In the final part of this series of articles, I'll be discussing the future of physical products versus digital downloads, and how I think the industry will grow in general.